Why choose between a spear and an ax when this handy item combines both into one fantastic, too-good-to-believe-it weapon? It chops, it hacks, and it pokes. It's capable of clearing entire dungeons of orc scum and inspiring fear in entire invading armies. It also looks cooler than everything else you own. We know this because it looks cooler than everything we own. Well, it's actually a toy, so for safety reasons it really does none of those aforementioned hack-and-slash things, but maybe it still looks cooler than all your possessions! 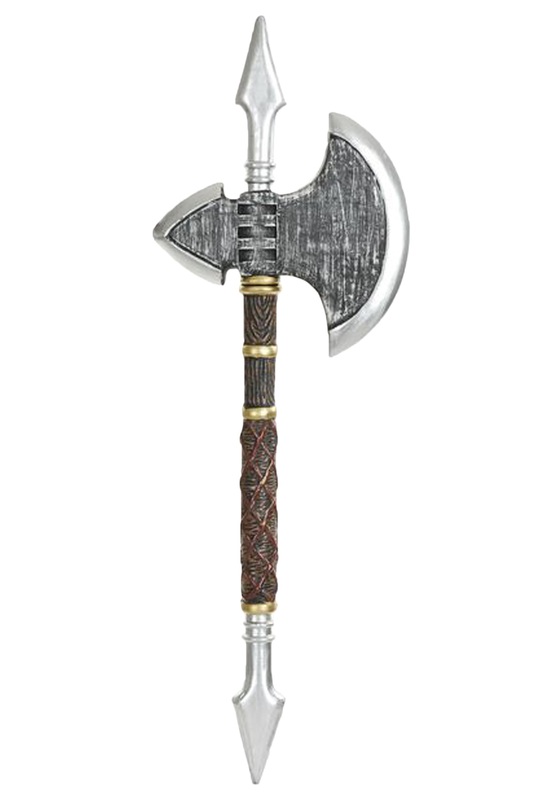 And either way, it's still great for pretending that you're a Viking in the back yard—so you can put down the crochet mallets and wield a blunt weapon worth its weight in silver. Those days smacking (invisible, imaginary) goblins are well over.